Welcome to this week's edition of Digital Digest! We are back with all of your regular news, a look ahead at Tuesday's releases, and our Click of the Week. Also, this week, we have a review of Kojak - Season Four, which may seem weird considering that it hasn't even been a whole month since the release Kojak - Season Three (read that review here), but Shout! Factory is moving moving very quickly on these releases and rapidly approaching the end of the series. Let's get started! The story on the DVDs of Cagney & Lacey have been trickling out slowly over the past six months or so, and it certainly appears that every effort is being made to bring out a top-notch release when it does come. This week, some new details were announced about this release which only serve to intensify the hype. As previously mentioned, the release will contain every episode of the series, even including the "semi-lost" first season (it isn't exactly lost, it is just that the corporate powers-that-be at MGM decided to skip that season when they released it on DVD on DVD) and the pilot movie. But there will also be new interviews (a rarity for VEI) on this release, and perhaps a few other special features. The sets which will be sold online will even be personally autographed by the stars of the series, as well as creator Barney Rosenzweig. As of right now, the release is projected to be sometime later this year (fall), but this is going to be a huge release, so it is not entirely out of the realm of possibility that a delay could be necessary... but hopefully that speculation (which is ONLY speculation on our behalf) is off base. You can follow up on releases for this set by reading Rosenzweig's blog. Are you trying to buy that Benson - The Complete Second Season DVD set, but not having much luck? It was supposed to be released on April 3, but it still is not shipping from amazon.com, and although it did briefly ship from Warner Archive, it is no longer even listed on that website. Well, our reviewer for this set has not yet received his review copy, but I did receive a personal copy which I purchased from Warner Archive. And even though I did briefly enjoy the episodes, it didn't take me (like the posters on our own message boards did in this thread) long to realize that this particular release is a disaster which was most likely pulled because it is full of defects. The first defect in this release won't be too noticeable if you aren't familiar with the series, but if you are familiar with it, you will notice that the entire first episode of the season was somehow left out. From there, things are generally acceptable for the remainder of the first two discs, but once you hit Disc 3, you'll find episodes which are completely out of order, and for some reason, the first two episodes of the third season at the end of the disc (which wouldn't be a bad thing if it was a special feature, but it is an obvious flaw). Most likely, this release has been pulled due to these issues, but we honestly don't know if that is the reason. We also have no idea if there will be any type of disc replacement program for the small number of people who actually received the set. Finally, we don't know when the release will finally be available (again, in the case of Warner Archive). However, we are going to withhold doing any review for this release for now in hopes that Sony fixes these problems before the set is actually released, and until then, we very strongly advise that nobody, even if you are a huge fan of the series, even consider purchasing this set. Hopefully, we'll be able to change this recommendation when/if there is an improved release. "Manhattan's 87th Precinct forms the backdrop for this grim and gritty police drama based on the long-running series of novels by Ed McBain. Storylines focus on neighborhood crime, and the tight-knit lives of the officers of the 87th and their families: Steve Carella (Robert Lansing) and his deaf/mute wife, Teddy (Gena Rowlands), rookie Bert Kling (Ron Harper), long-time veteran Roger Havilland (Gregory Walcott) and the wryly philosophical Meyer Meyer (Norman Fell). Each gripping story features performances from the top rung of the acting profession, including Jack Albertson and Beverly Garland (Killer's Payoff), Robert Culp (The Floater), Dennis Hopper (My Friend, My Enemy), Jeanette Nolan (Idol in the Dust), Peter Falk (The Pigeon) and many more!" Tuesday (April 17) is a day for animated fans, with two releases from the Fox Sunday night lineup. Those releases include American Dad! - Volume 7 (read our review), which is a somewhat misleading title as it actually contains the entire sixth season of the series, as well as Bob's Burgers - The Complete First Season (read our review). Warner Home Video brings some classic '70s family fun to DVD with their release of Eight is Enough - The Complete First Season. We hope to have a review of this set soon. Finally, Lionsgate has more episodes of a current TBS sitcom, with Meet the Browns - Season Five. We received our review copy of this set just yesterday, but we should have a review before Tuesday's release. Lieutenant Theo Kojak (Telly Savalas) is back in Kojak - Season Four, a six disc set containing 24 more episodes of the classic detective drama, with episodes from the 1976-1977 season. Now charging full-force into the late '70s, the series has evolved into an even edgier and more exciting series than it ad been in the past, and (hopefully) at the end of each day, Kojak will get to the bottom of each and every crime. Crime takes a personal toll on Kojak when his niece is kidnapped in "Birthday Party." The mistress of a fellow detective is murdered in "A Summer Madness." In "Law Dance," Kojak must search for the killer of a key witness in a murder trial. Kojak is on the hunt for a slasher who murders out of greed in "Out of the Shadows." A child molester abuses his diplomatic immunity in "A Need to Know." In "An Unfair Trade," a police shooting of a Puerto Rican youth causes community outrage. A drug-addicted girlfriend of a cop accidentally kills her boyfriend's partner during a drug bust in "A Hair-Trigger Away." In "My Silence Betrayed," Kojak is on the case of a few waterfront murders. In "A Shield for Murder," a wealth political leader is determined to make sure that Kojak doesn't open up a two-year old matricide case, but why? A princess and her servant seek to recover family jewels in "The Pride and the Princess." A private eye who can't seem to stay out of Kojak's way returns in "Black Thorn." Kojak investigates the murder of a construction kingpin in "Where Do You Go When You Have No Place to Go?" In "Dead Again," a woman's pleas for help are going unheard, and perhaps by the time they are heard, it will be too late. Kojak's godson is mixed up in gang activity in "The Godson." In "The Condemned," a boxer is accused of murder, and decides to take church parishioners hostage. A wealthy ecologist's wife plans the perfect murder in "When You Hear the Beep, Drop Dead." A Puerto Rican cop goes undercover in his old neighborhood in "I Was Happy Where I Was." In "Kojak's Days," what starts out as a simple death investigation becomes very complicated rather quickly. A gambling addiction causes a veteran officer to begin to behave unethically in "Monkey On a String." In "Kiss It All Goodbye," Crocker accidentally shoots a fashion model, putting his career in jeopardy. Kojak has to work with a female detective which he doesn't exactly like in "Lady in the Squad Room." A nun... yes, a nun... is out for revenge in "Sister Maria." The season ends with "Another Gypsy Queen," where a Gypsy woman wants to find and kill the man responsible for the mass murder of her own family. The packaging on this release is just a standard Viva-case, which is actually very nice considering how large this set would be otherwise. 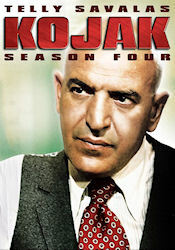 On the cover, there is a large photo of Kojak, and on the back, there are a series of episode snapshots and a general description of the series. Inside the cast, you'll find the six discs, all of which have the New York City skyline with a greenish tint. Each disc contains four episodes, except for Disc 3 which contains three (one is a double-length episode) and Disc 6 which contains five. And if you are interested in episode titles and descriptions, you'll find them printed inside the cast, along with original airdates. The menus on this release are pretty much identical to the previous release. The main menu has an animated transition, along with the theme music playing in the background. Eventually, when you get to the main menu, you have options of Play All, as well as a listing of each episode on the disc. As soon as you select an episode, it plays immediately, with chapters placed throughout the episode. The video and audio quality for this set is perfectly fine. There is a slight bit of grain and debris which comes naturally with the age of the series, but it really isn't as bad as one would come to expect. The audio is in mono (as originally aired), but it is certainly loud and clear enough. The episodes are neither closed-captioned nor subtitled. There aren't any special features included this time, but it is somewhat understandable. Shout! Factory did a great job with the interviews for their release of the Kojak - Season Three, as well as their release Kojak - The Complete Movie Collection, and there really isn't a whole lot more to be said or done. This is another decent release of the classic series, even if there aren't any special features this time. It is great that Shout! Factory has not only taken over this series over six years after Universal abandoned it after just one release, but has in fact released additional seasons of this series at a very steady pace. With that being said, we are down to just one last season of the series (season five) remaining to be released, and hopefully we'll get that by the end of this year. It would really be nice if we could get the first season re-released as well (since Universal did a shoddy job with the double sided discs there). Still, this release, despite not having anything extra or exciting, is a great step towards getting this series to completion. 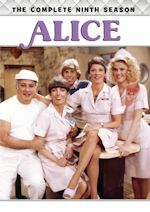 TV by the Numbers (tvbythenumbers.zap2it.com) - Every Sunday on our blog, we give you details for how well (or how poorly) all of your favorite sitcoms did when it comes to the Nielsen ratings for the previous week. 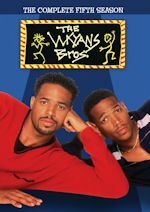 If you haven't been checking this out, it provides great information and analysis for the broadcast network sitcoms. 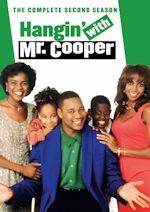 But, as we just indicated, we only cover the network sitcoms in greatest detail, so with the end of the 2011-2012 TV season rapidly approaching, where can you turn to for daily updates on ratings, with full tracking of ratings for all series on both the broadcast networks as well as the cable networks? TV by the Numbers is a great place for this constantly updated and in-depth analysis. The site is very user-friendly and easy for even web novices to navigate, and provides ratings and detailed analysis for all of the broadcast. One of the nice features that they have is a renew/cancel index, where they predict the likelihood of a series returning or not based not only upon the actual numbers, but also other factors such as how close the series is to making it to syndication, production costs for the series, and ratings relative to the rest of the lineup on the network or even the specific night which it airs. The cable ratings are very interesting to look at as well, and provide some surprising insights, such as the ratings for the week ending April 8, 2012 where the #5 cable program of the week was, of all things, a Saturday night airing of the Nickelodeon series iCarly. 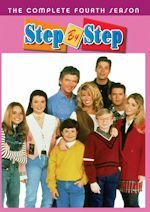 They even provide a daily cable top 100 ratings list, where you'll frequently find virtually daily "champions" including The Big Bang Theory on TBS, Family Guy on Adult Swim, and plenty of awful reality series featuring names which we honestly should never known or heard of such as "Kardashian." Although visiting to the website and leaving comments isn't going to save all three flavors of CSI (or whatever your favorite series is) from being canceled at the end of this season (and by the way, this site is leaning towards one or both of the Miami or NY series being canceled), it is still fun to see what is going on with the networks and where your favorite series stand.